Mid-Autumn Festival is one of the most important festivals in China, a day when the moon reaches its perfect roundness of the year and families come together to enjoy moon cakes and grapefruits under the silver moon shine. 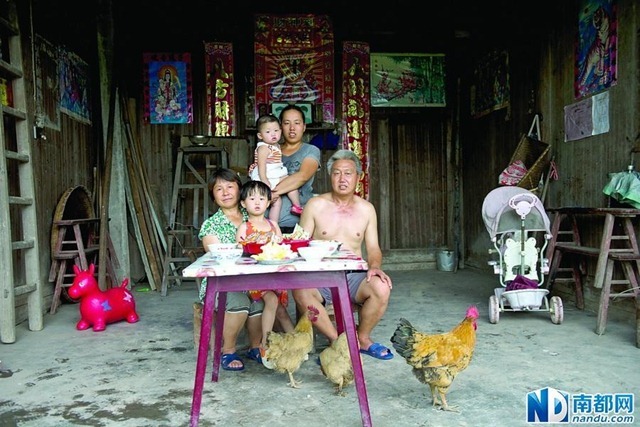 However, in some rural areas of China, this precious family ritual has become luxury that many families can’t afford. Thanks to the unprecedented speed of urbanization, China becomes the world’s second largest economy. While the society is moving forward everyday, many children are left behind in rural villages far away from their working parents. 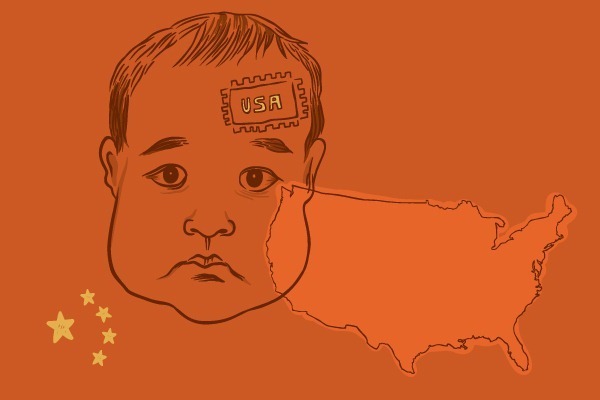 According to the Children Division of All-China Women’s Federation, there are more than 61 million left-behind children in 2013, taking up 22% of the national children population. 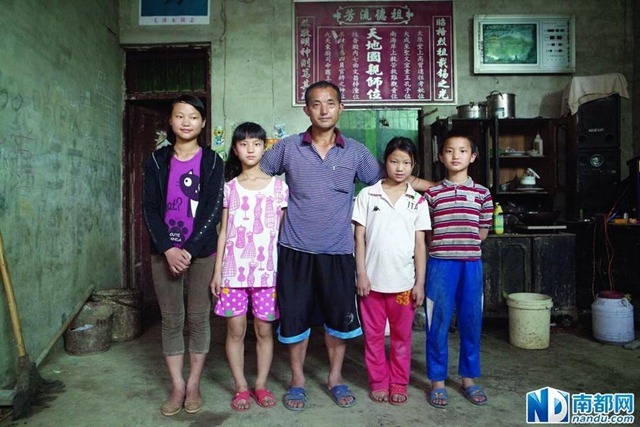 To take a closer look at the left-behind children’s situation, Nandu.com reporters visited Guizhou, Hunan, Hubei, Jiangxi and Sichuan, 5 big provinces for exporting labor. And they came back with these incomplete family photos. Hunan Province. 5-year-old Jiang Chun (middle) misses her mum most. Her parents work in Shenzhen, leaving her and her 2 siblings to live with their grandparents, who often have too much farm works and too little time to take good care of the kids. Guizhou Province. 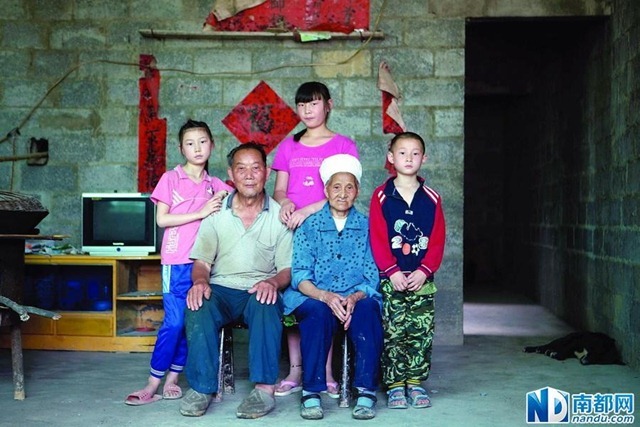 Wang Bingbing (left) and her big sister and little brother with their grandparents. Their parents are also working in Shenzhen and seldom come home. 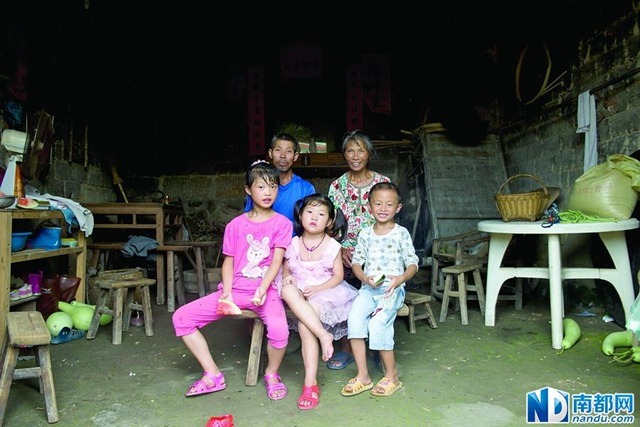 Big sister Wang Shuangyan has become the pillar of the family since their grandparents are too old to take care the little ones. Hunan Province. 4-year-old girl Chen Yujuan (middle in the front) was diagnosed with congenital heart disease and underwent surgery right after being born. Her father works on construction site in another city, and only comes home every 6 months, leaving her mother and 2 kids to live with grandparents. Hunan Province. 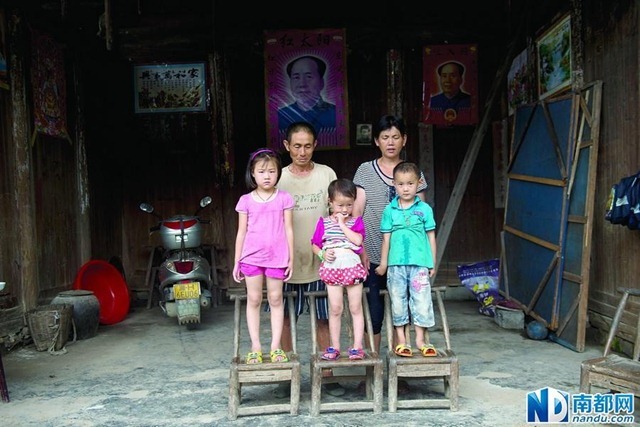 From left to right, 5-year-old Zhou Xue, 3-year-old Zhou Xin and 5-year-old Zhou Jun have to spend their summer break in the town’s kindergarten. Guizhou Province. Father Wang Degao and his daughters Wang Jiaojiao, Wang Shasha, Wang Yina and son Wang Linkang. 5 years ago he left the small ones at home with the the oldest daughter in charge. But he soon realizes that it is not good for the children to grow up without adult’s care, so he returns home to take care of them while his wife still works in Shenzhen. Sichuan Province. 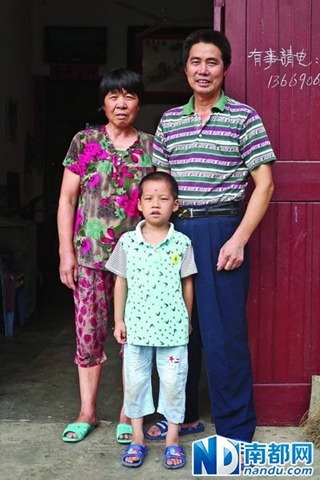 15-year-old Zhong Jun suffers from surdimutism, his parents have been working in Guangdong Province’s Dongguan since 1990s leaving him his grandpa. 4 years old Xu Yuhan and his 65-year-old grandma Xu Meilan live together. Grandma has 2 sons and 1 daughter all of whom have been working in another province for more than one decade. Her husband died in 2009, and now her life consists of farm work and her grandchild. Hubei Province. Chen Zijun’s father drives taxi in Shenzhen, and his mother also works there. He stays behind with his grandparents. Why do they continue to have children if they only see them once a year? The country is already overpopulated, it’s not like China needs for people to continue to have children in order to keep society growing. Birth control is readily available. I just don’t understand why bring people into the world who have to grow up in extreme poverty, without their parents, burdening the grandparents who look very elderly. It seems so…. pointless.